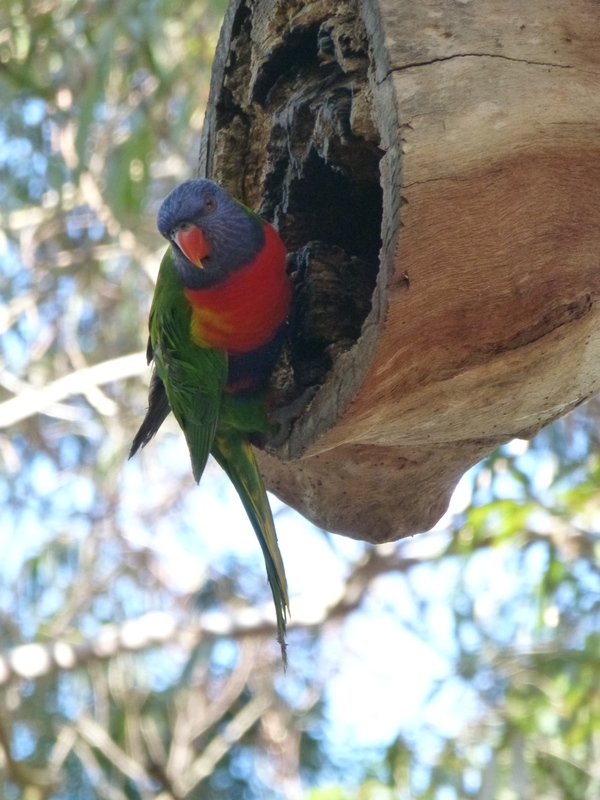 Lately I’ve seen different types of parrots apparently competing for prized nesting sites. 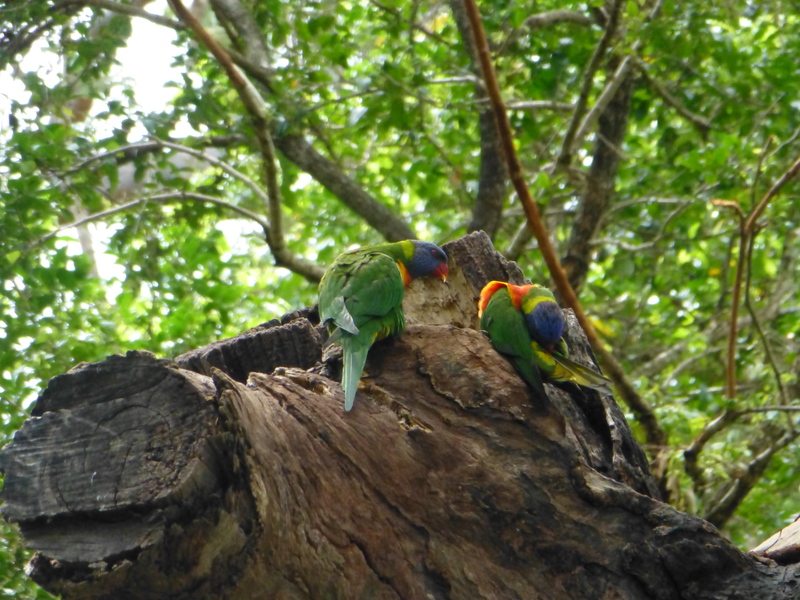 Growing up and raising a family….an important part of many lives, not least of which is in the life of a bird. 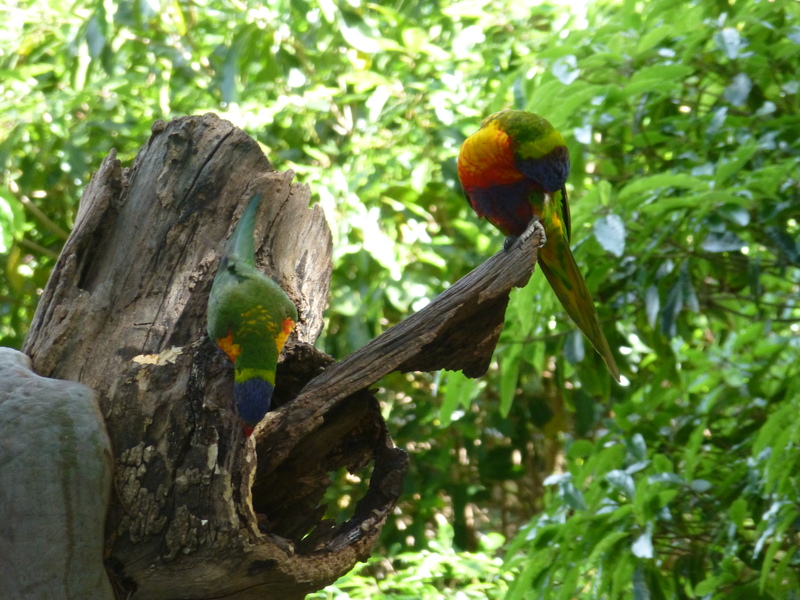 Take Rainbow Lorikeets. 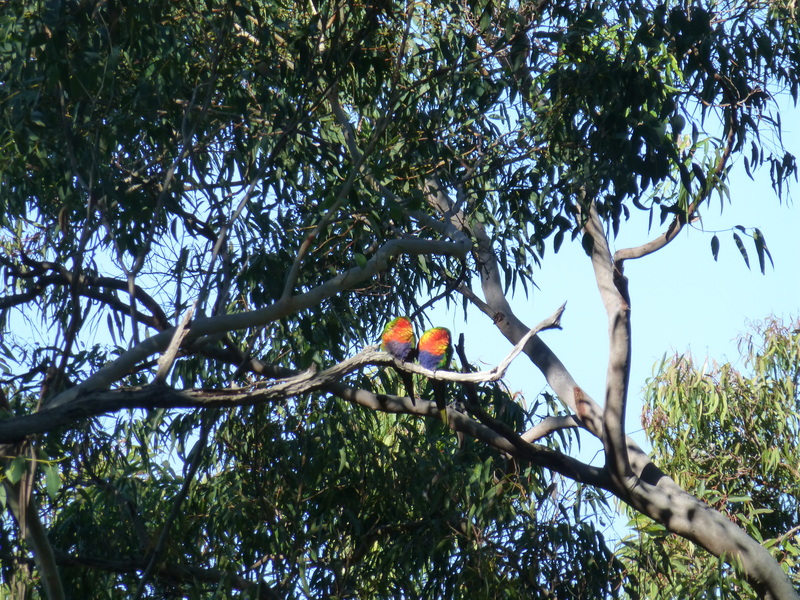 These two are kept occupied, tending their nest. I have no idea at what stage this project is at. Maybe they are still building. Perhaps there are babies. At any rate, this is their home sweet home and they are diligently minding their territory. Recently Lady Luck favoured me by giving me the means to capture this charming image. 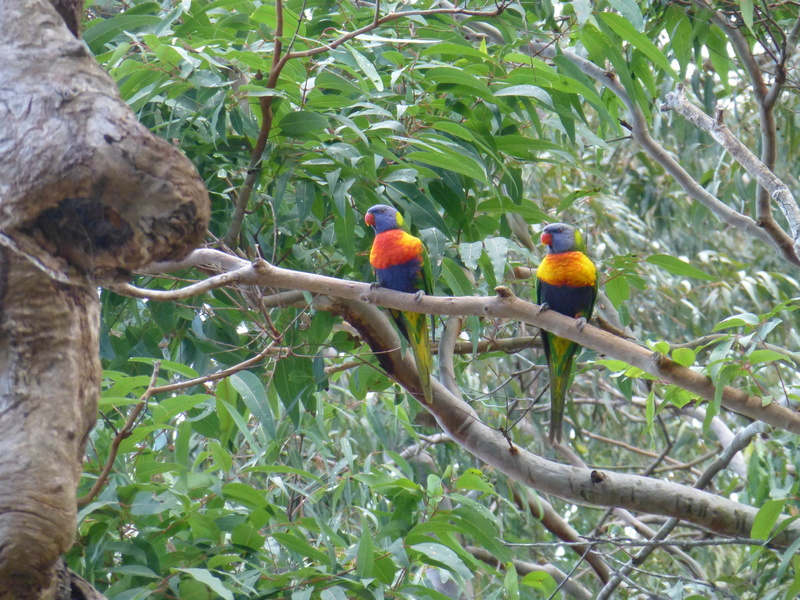 Rainbow Lorikeets are such beautiful birds, and so well named. 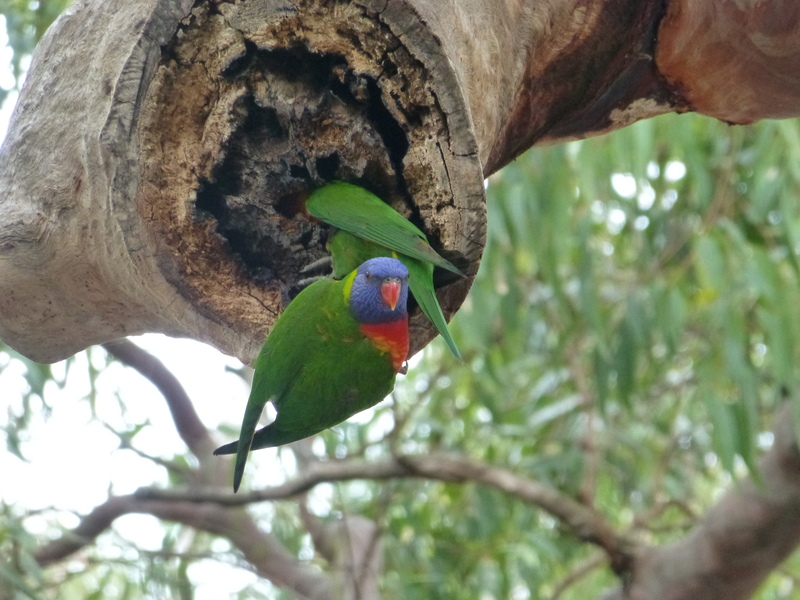 They inhabit our local bushland park in southern Sydney. 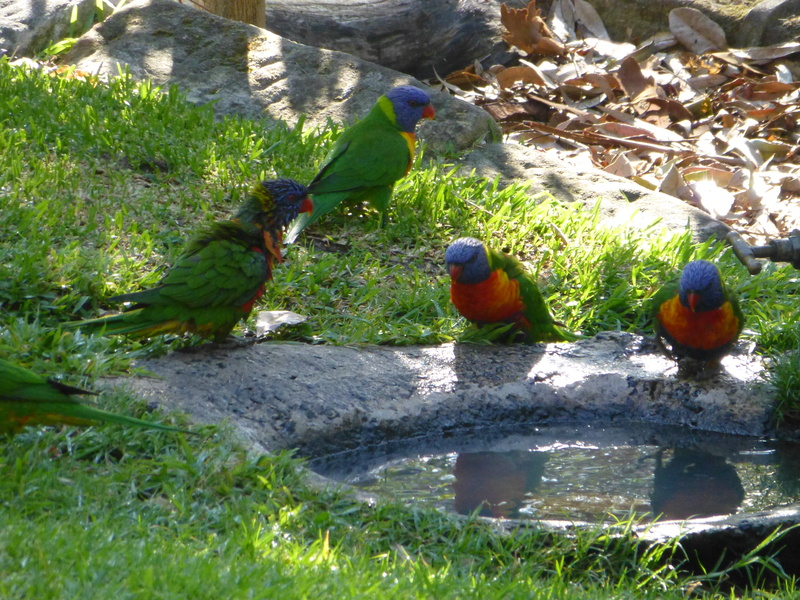 Sometimes they can also be seen in local gardens. In this situation, Grevilleas rank highly in their scale of favourite plants.